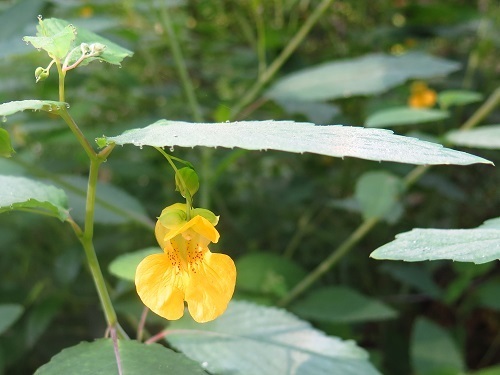 or to the way tiny drops of water sparkle along the edges of the leaves. 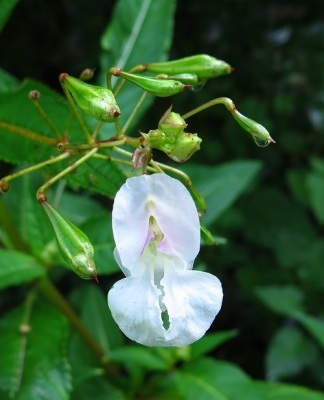 The common name "touch-me-not" pertains to the way the mature seed pods explode and eject seeds when touched. 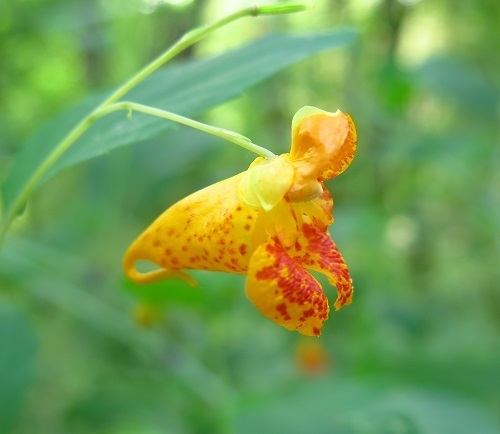 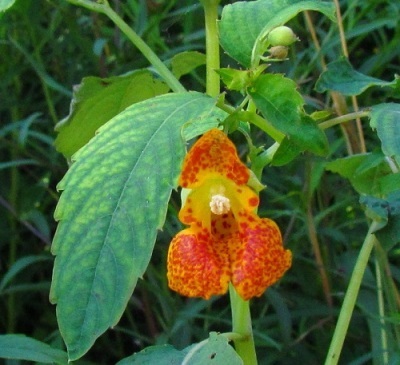 Sap from the stem and leaves of jewelweed is a remedy for the itching and rash of poison ivy. 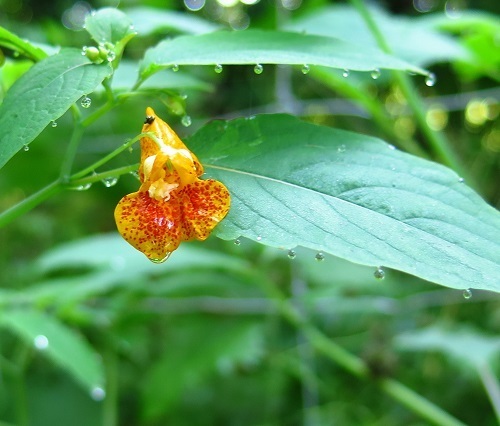 Jewelweed produces plentiful nectar and is pollinated primarily by hummingbirds. 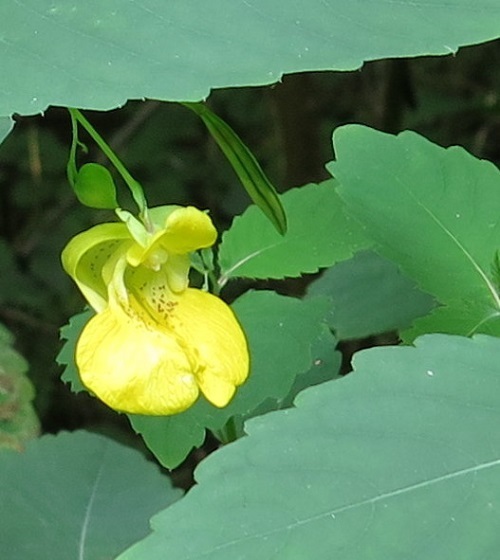 Bees are also attracted but find it difficult to reach the nectar, so may chew the back of the flower to obtain it. 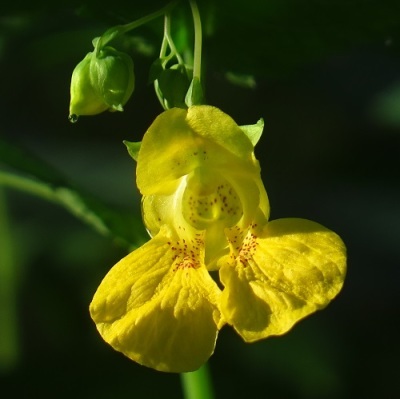 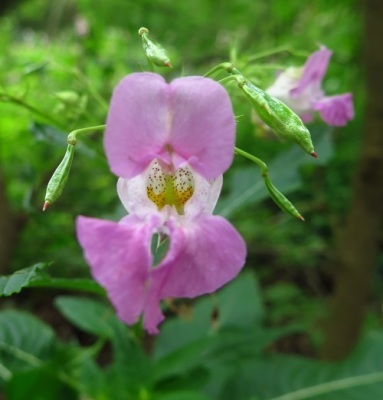 Like violets, jewelweeds produce cleistogamous flowers which do not open but produce seed. 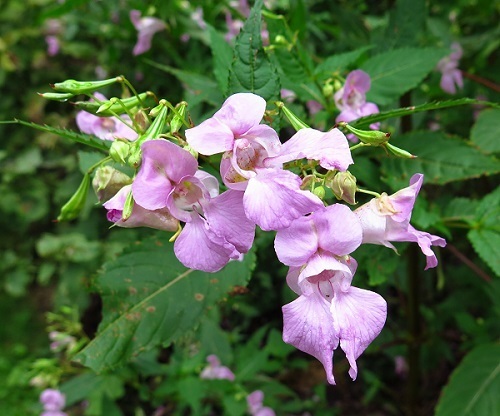 Aggressively replaces native perennial plants and attracts pollinators away from native species. 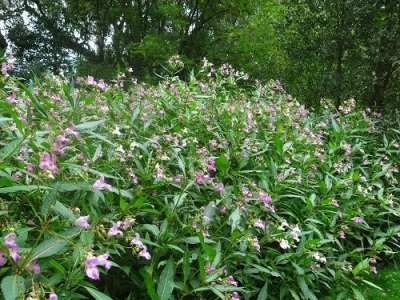 ​Flower: Up to 4 cm, pink, purple or white.